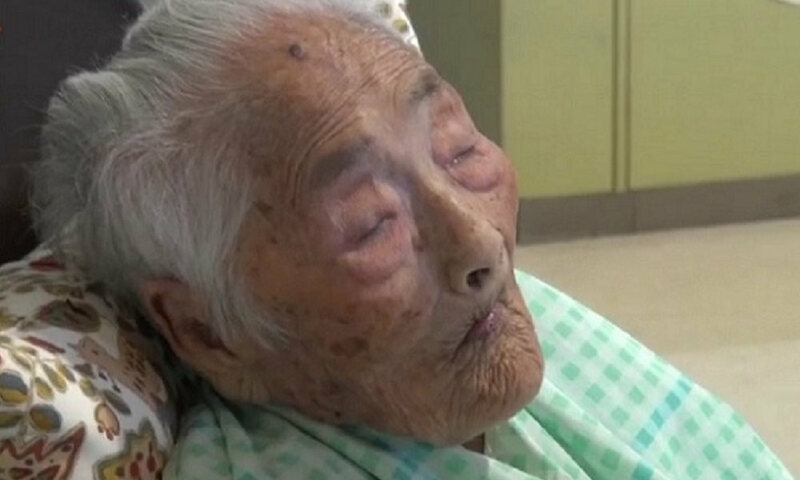 Japanese woman Nabi Tajima, who is the last surviving person to be born in the 19th century, has become the 5th oldest person in recorded human history, experts said on Saturday as she reached 117 years and 190 days. Tajima was born in a village on the Japanese island of Kikaijima on August 4, 1900. Well before both world wars, it was a time when Emperor Meiji ruled Japan as the nation rose from an isolationist feudal state to become a world power. Research and verification by the Gerontology Research Group (GRG) shows that Tajima is the world’s oldest living person. She reached 117 years and 190 days on Saturday, making her the fifth oldest person in recorded human history, surpassing Violet Brown from Jamaica. It marks the first time since December 1999 that someone has reached or surpassed Tajima’s age. Other people have claimed to be older, but those claims have never been verified with official documentation and other supporting evidence. Tajima, who still lives on Kikaijima island, had 9 children and, as of 2017, had more than 160 descendants, including great-great-great-grandchildren, according to the Gerontology Research Group. She has claimed that her secret to longevity is eating delicious things and sleeping well, but she also likes hand-dancing to music when the shamisen is played. Tajima is due to become the 4th oldest person on March 23 and the 3rd oldest person on April 10. The oldest undisputed person to have ever lived in the world was Jeanne Calment who died in France in 1997 at the age of 122 years and 164 days. Jiroemon Kimura, who died in Japan in June 2013 at the age of 116 years and 54 days, was the world’s oldest verified male in recorded history, according to Guinness World Records. The current oldest living man is 112-year-old Masazou Nonaka, who is also from Japan.